Provide comfort for the family of Anna Fedyszyn with a meaningful gesture of sympathy. 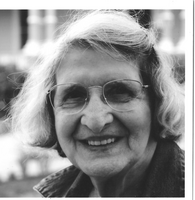 Fedyszyn, Anna (Kourelis) age 94, died peacefully in her sleep Tuesday, January 29, 2019 in Minneapolis, MN. Born March 7, 1924, in Dunkirk, NY, Anna lived most of her life there. She graduated from Dunkirk High School with the Class of 1942. Anna is proceeded in death by her parents, Nicholas and Margo Kourelis; her husband, Anthony Fedyszyn; four sisters, Lydia (Kallergis); Marie (Stavrides); Despina; Elaine(McCormick) and brother Leftheris Kourelis. She is survived by her two daughters, Joan and Marjorie Fedyszyn; son-in-law, John Rock; two grand children, Elaine and Clark Rock and many nieces and nephews. Anna loved interacting with others and enjoyed many occupations over her long life. Always a conscientious employee and quick with a smile, Anna made friends easily and may be remembered for her time as a book keeper or sales representative at such establishments as Van Raalte silk mill, Cease’s Commissary, The Regent and Jim’s dry cleaners, The New York Store and even after retirement age, at Walmart. Anna was an active member of the Order of the Eastern Star, Sylvan Chapter #258 for decades and sat as Worthy Matron, forging deep friendships within the organization. Those that knew Anna remember her fondness for singing and music which brought her great joy even in her last days. She knew the words to almost every war era and folk song and sang with all her heart and a grin on her face. A celebration of Anna’s life will be held for family and friends at a later date. Heartfelt gratitude from the family goes out to the staff and aides at the WCA Home, Fredonia, NY and Jones-Harrison, Minneapolis, MN for the love and tender attention they gave to Anna over the years while in their care. To send flowers in memory of Anna K. Fedyszyn, please visit our Heartfelt Sympathies Store. A celebration of Anna’s life will be held for family and friends at a later date. Provide comfort for the family of Anna K. Fedyszyn by sending flowers.